Japanese architect Shigeru Ban is admired for his simple, yet elegant structures, but also for bringing sustainability and humanity into his designs. Now he is the recipient of one of architecture’s highest honors, the Pritzker Architecture Prize. Ban’s current project, his first museum in the US, will be unveiled In August this year. “The Aspen Art Museum presented a very exciting opportunity to create a harmony between architecture and Aspen’s surrounding beauty while also responding to the need for the dialogue between artwork, audience, and the space itself” Ban said. Ban’s vision is based on transparency and open views that will highlight the building’s interior and offer views of the uniquely beautiful Aspen landscape and surrounds. The use of natural light in the galleries from walkable skylights and other transparent walls will allow for a blending of outdoor and indoor spaces and flexible exhibition spaces. 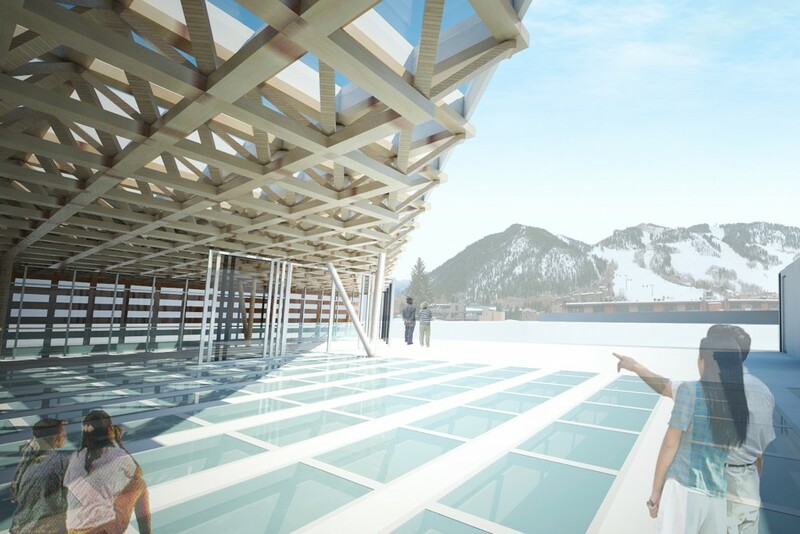 The roof deck sculpture garden will be the only public roof top venue in the town with sweeping vistas of Aspen’s internationally recognized environment. Ban envisioned visitors navigating through the museum the way a mountain is navigated when skiing or snowboarding— by proceeding to the top of the building and descending downwards. Artist Cai Guo-Qiang is developing a new project specifically on the roof deck that promises to be fun for the opening. In addition to the Aspen Art Museum’s inaugural exhibitions with works by Yves Klein and David Hammons, Tomma Abts, Rosemarie Trockel and Jim Hodges, the Museum will feature a special exhibition on Ban’s work. Shigeru Ban: Humanitarian Architecture will present four full-scale examples with exhibition design done by the architect himself, of Ban’s groundbreaking designs for humanitarian relief.